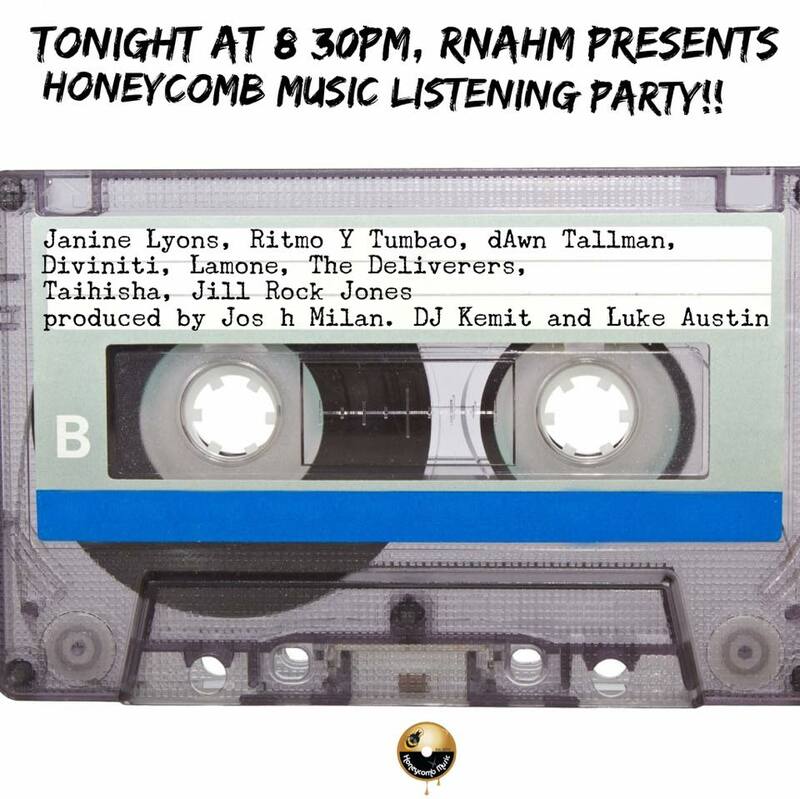 Tonight at 8:30pm RNAHM Presents: Honeycomb Music Listening Party! Ramona Dunlap, Janine Sugah Lyrics Lyons, Sheila Ford, The Deliverers, Lamone Andrews, Taihisha Grant, Ritmo y Tumbao (Dres Ramos & Cuba Ulacia) and MORE tonight on our Internet Listening Party we call Random Nights At Honeycomb Music. On tonight’s show, we’re featuring ALL new and unreleased music. Some are in demo form. Come join us in the chat room as we hear over 2 hours of the latest joints from our Honeycomb Family. Tonight at 8:30pm SHARP!